At Journey of Faith Christian Church, we worship as an expression of our love for God. The goal is to enter into breakthrough-environments where we can apply the Word to every area of our lives, experiencing the love of God like never before. Drake's "God's Plan" and Chris Janson's "Fix a Drink" videos as a jumping off point, we'll talk about the examples we see in pop culture of people trying to "make a difference." Do these line up with our own experience of making a difference? With the examples we've heard about in church or read about in scripture? You'll be encouraged to think of your own examples of people in pop culture "making a difference" and you'll be invited to evaluate whether or not these ways of being can really lead to transformative change, toward the building up of the beloved community. Peaceful silence can be difficult find. Whether it's the background hum of our laptop fans and air conditioners or the persistent demands of work or friends or family, noise chases us wherever we go. For many, even the rare moments of quiet we do find can be filled with their own sort inner, uncomfortable buzz, as that of anxious thoughts or nostalgia tinged with shame. Join us for a service of peaceful silence. Communion and a guided meditation will help us to find a stillness of Spirit centered on God. Please spread the word to anyone in your life who you suspect might need an evening of soul-deep rest. Please join us as we share a meal (summer salads and homemade ice cream) and explore the question: What is grace? You will be invited to respond to this question through arts - for example, you could make a collage, draw or color, and/or write poetry. You do not need to be a professional artist, however--stick figures are welcome! What we want most is for this to be a safe space to explore the multitudes of ways that God speaks to us and through us. All art making materials will be provided--you are invited to bring a salad or ice cream to share, but it's not required. 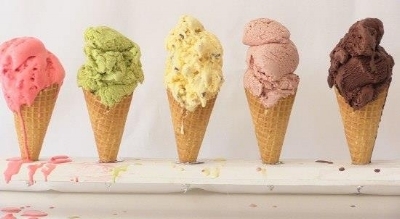 We look forward to sharing an ice cream cone with you!